X-rays are a form of electromagnetic radiation, as are radio waves, infrared radiation, visible light, ultraviolet radiation and microwaves. 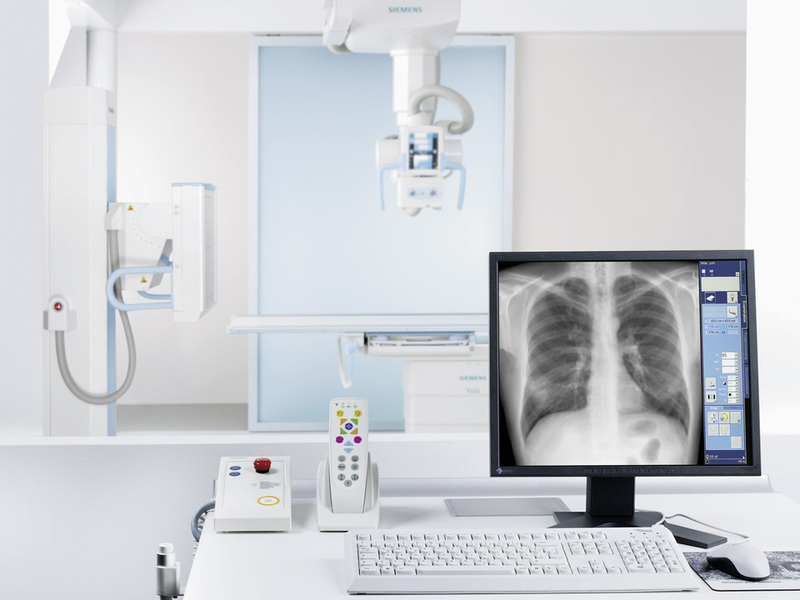 One of the most common and beneficial uses of X-rays is for medical imaging. X-rays are also used in treating cancer and in exploring the cosmos. X-rays are roughly classified into two types: soft X-rays and hard X-rays. Soft X-rays fall in the range of the EM spectrum between (UV) light and gamma-rays. Soft X-rays have comparatively high frequencies — about 3 × 1016 cycles per second, or hertz, to about 1018 Hz — and relatively short wavelengths — about 10 nanometers (nm), or 4 × 10−7 inches, to about 100 picometers (pm), or 4 × 10−8 inches. (A nanometer is one-billionth of a meter; a picometer is one-trillionth of a meter.) Hard X-rays have frequencies of about 1018 Hz to higher than 1020 Hz and wavelengths of about 100 pm (4 × 10−9 inches) to about 1 pm (4 × 10−11 inches). Hard X-rays occupy the same region of the EM spectrum as gamma-rays. The only difference between them is their source: X-rays are produced by accelerating electrons, while gamma-rays are produced by atomic nuclei.